With inclement weather causing air travel delays today in hub cities like Chicago, Dallas and Washington, DC, let's review what can happen when a plane tries to touch down in less than ideal conditions. 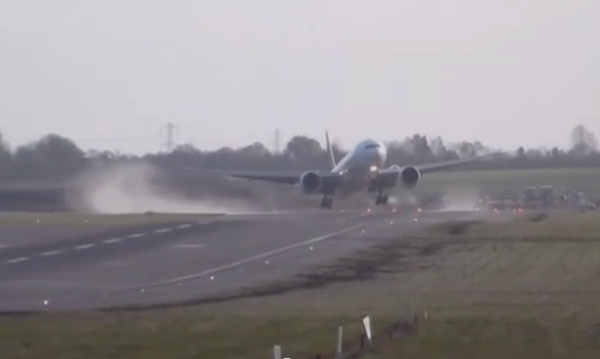 This YouTube video reportedly shows an Emirates Boeing 777 trying to land in a major crosswind at an unidentified airport in the United Kingdom earlier this month. For an explanation of the physics behind what you see in the video, check out Gizmodo.